One of the things we often get asked for is sample reports based on this or that questionnaire. Well, the good news is that you can now generate your own. We’ve added a new set of functions that enable you to generate a dummy PDF report based either on one of the standard profiles that we give you or one that you have created your self. And it’s really simple to use too. You can see exactly what your new report will look like by using the <preview> function. The system will generate a set of dummy responses and generate a PDF report exactly as you would a real one. 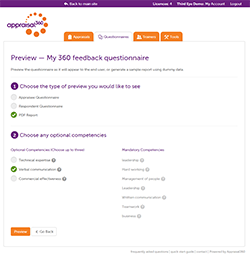 You can also see the questionnaire exactly as an appraisee or a respondent will see it. Just select the appropriate button in the <preview> section. We recommend testing your questionnaires out on a number of people who’ve never seen them before just to check that they mean what you intended them to. 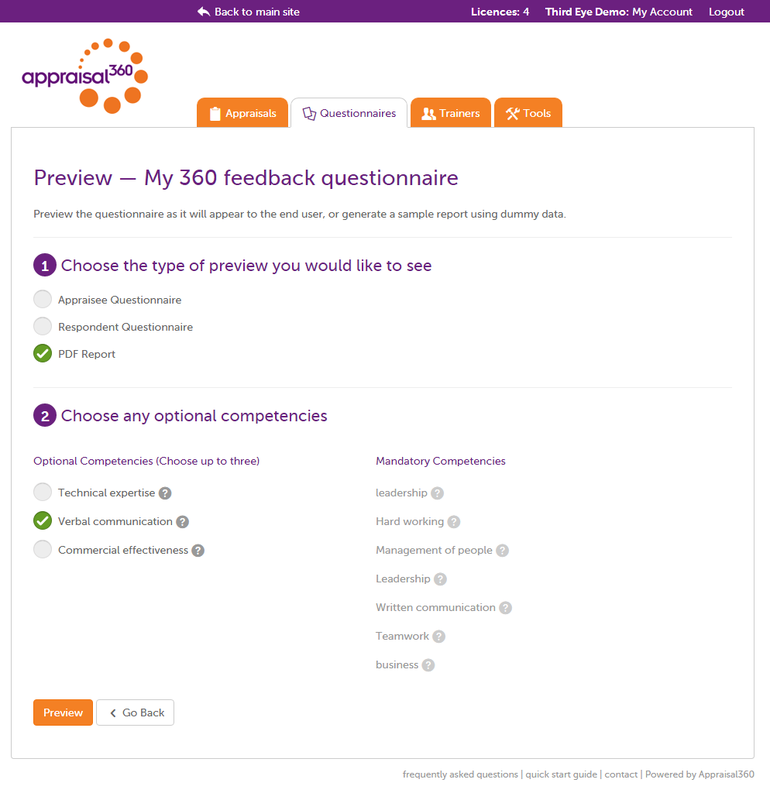 You can learn more about creating your own questionnaires here.